Observation - Evidence of fox activity? - UK and Ireland. Description: Lots of feathers spread around the ground, with some kind of droppings close by. 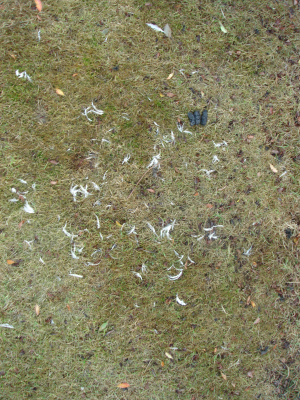 Lots of feathers spread around the ground, with some kind of droppings close by.